Magento is believed to be a highly efficient open source E-commerce platform. It has extensive powerful tools to offer your business for helping you to manage an online store. The shopping carts and the support Magento extends are absolutely free that is provided by an active open source community. The Magento theme and templates are a part of its massive array of quality features. Speed is indeed an important aspect customers are looking for in online businesses and speed refers to the speed between the pages and speed of all that your website does. Frameworks of every company for their E commerce store vary and differs based on that particular company. Choosing the right theme suiting your company’s frame work is very essential. Customizing the themes suiting your needs becomes easy with Magento. You can customize them by simply taking the documentations of the same from the company’s website. Customization indirectly means designing your own templates, making Magento a platform best suited for your company. Magento has a team of expert developers, designers and customer support team that will give you state of the art themes and templates. 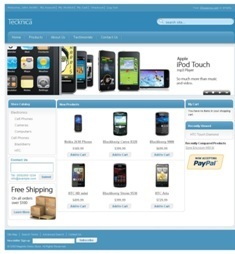 All the themes and templates are quality tested for security. They are user friendly on Magento platform thus, securing the software making it withstand any virus attacks. Magento makes your site a secure E commerce site. The themes and templates are W3C standards compatible making them top quality themes and templates. Thus Magento ensures the accessibility to your website from any device or any browsers meaning accessible from tablets, smart phones, etc. All Magento themes are compatible with Search Engines implying that all the pages of your website would be indexed. Every page created has a unique H1 tag and the logo has a functioning anchor text and a real link. This enables prevention of PR losses and also duplication of your content. It helps you to completely record all your store order details and you can also access it. The Analytics extension makes maintaining the order records of even multi stores with massive inventory an easy task. The option of filtering a specific product’s order detail is made available with this extension. The E commerce Tracking Extension makes keeping tracking of your business a simple cake walk. Handy and easy analysis of the products from your store is aided by using Google Analytics. The order details that were processed within a particular time period can be easily obtained and viewed too.